Every once in a while an artist comes along and reignites a flame in a certain genre. The anticipation starts from the moment word gets out of the talent or gift they embody. 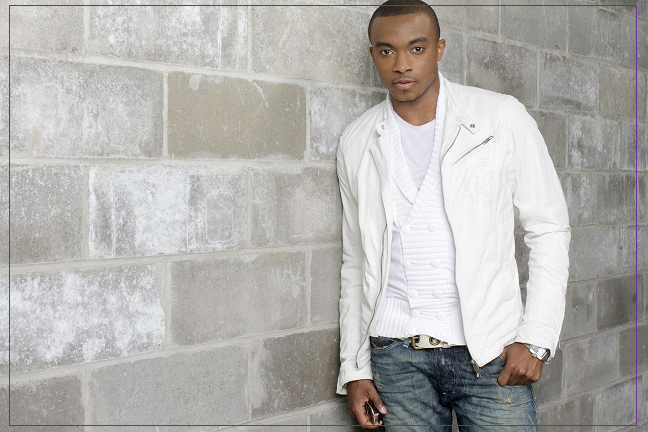 This was the case with Jonathan McReynolds. The buzz for Jonathan began as a few views on Youtube, then suddenly the word was out about this sweet and well controlled tone out of Chicago. I wanted more. The music world wanted more. When I first heard Jonathan, I was at home and a childhood friend Shaneice Bell played his homemade Youtube video for me, a song titled, No Gray. Jon and his guitar in a small room was the visual. A few friends, my siblings, and I were just hanging out playing each other the best music we'd found since the last time we did it. I remember feeling like I wasn't going to be impressed. Growing up in the church and with a pretty musical family- all of the good church singers had begun to sound the same..Shaneice pressed play and I was soon proved wrong. Jonathan's light but assertive voice leaped out of the computer with undulating grace. As I listened my love for jazz music was engaged, my love for a clean vocal was engaged, my desire to feel sincerity was engaged. It was so beautiful I had to assertively remind myself to listen to the words of the song he was singing. As I honed in, it became clear to me that with such an iridescent tone and simple message, I had stumbled upon someone who was about to take the Gospel industry by storm. I was absolutely right. A few months of hard work, ministering here and there, and studio hours later Jonathan finally released his first major project, Life Music in September of this year. It was received with much adoration from fans and music professionals alike. The young singer, songwriter, and musician had made his statement and made it clear- it is quite alright and even cool to be young, saved, and devoted to sharing Christ. Hey Jon, it's been a little while coming to get you on the site, but I'm glad we've finally gotten to it! How are you!? I am so great and blessed. Thank you for thinking of me for this. It's an honor. Youre so welcome. Now, I came to know of you as many people did from youtube and your record- No Gray. What was your journey like before that record? How long had you been singing? Until then God was developing my music as a student in college and high school. Since 16, I was the youngest in a great male group in Chicago, Mind Over Matter. Five guys, five personalities...taught me so much about God, life, grace, worship, and manhood as well as music. Other than that I was more of a pianist and organist. To this day, that's what I do at my church. Wow.. so were you expecting No Gray to be as popular as it is? Ha, absolutely not. No Gray almost never made it out of my dorm room. I remember my best friend and I wondering if I should even put it on the EP. Never heard anything like it. Was it too wordy? Too transparent? Not even accepted, but would it be UNDERSTOOD? At that point, I didn't know how my writing style would be received. Sometimes people feel like God surprised them with success on a certain level. Were you surprised by the doors being opened, or was it just what you expected? Uhh YEAH! I still can't believe what God has done, nor do I know fully, why He did it with me. All I know is that I am grateful everyday, and I'm working not to make it all in vain. In a sense I don't want Him to "regret" entrusting this territory to me, but we know He doesn't make mistakes. Exactly! Ive witnessed your ministry live a couple of times- what I appreciate is the applicable nature of your approach. You keep the message very simple. How intentional is that and why? That is my personality. My friends joke with me for all of my "McParables." I like making things as simple, direct and clear as possible. So much of our world is coded and hidden in traditions, special effects, bells and whistles. I think of how Jesus just stood on a boat, and talked. That's it. That day so many lives were changed. That is a powerful and true revelation. Now, vocally, you are incredible! Who are some of your influences?! India Arie, Kim Burrell, Israel, Stevie Wonder, John Mayer, Rascal Flatts, Smokie Norful, a lot of people. I know you play the guitar, any other instruments? Are you one of those "I can play everything" kinds of people? I wish! I grew up playing the drums and piano. Learned the trumpet at a VERY basic level at some point. So that makes- piano, drums, trumpet, guitar.. and "you wish" you were one of those I can play everything kinds of people? Ha! You just released your first official album, Life Music- which is receiving kudos from your peers and other listeners alike.. debuted at #3 on Gospel Billboard & I believe #98 on Billboard 200!? What has this been like for you?! It has been as crazy as everything else God has done since 2010! I try to maintain a healthy, partial disconnection from the industry part of this, in hopes that I continue to write without commerce, potential success and reception in mind. That being said, I do get enough information to know that God is so good and what he told me is coming to pass. Jeremiah 29:11. Your music is different, it's fresh, it's something I wouldn't be nervous to play for a friend who is a nonbeliever in encouragement to come to know Christ. What if anything do you think has been lacking in Gospel Music that you're trying to exude/add to? I will always aim at making music that is transparent, genuine, and pure. And if you think about it, it's not much of an "aim." Just got to be ME--whoever, whatever that is and deliver it just like God gave it. In any genre, that's the kind of music that touches lives. And in every genre, THAT type of music, that comes from the heart without attention to the bottom line or radio charting is lacking. With all styles and genres of music in mind, how much greater, more powerful, more effective could GOD's music be when it's relayed genuinely? Are there any artists who you can't wait to work with (thats not limited to Gospel)..? Gotcha! Favorite track on Life Music..and why? "Comin' Out" is one of the newest songs, only a few months old and very transparent. If you are anything like me--human--you have found yourself in pits of sin, grief, low self esteem, bad relationships. God is not surprised by our "wilderness" and "belly of the whale" experiences but we have got to know we've GOT TO COME OUT! The enemy would have us die there, but God's love gives us grace and strength to come out with a testimony. You've given so much through music- but any more advice you'd give young people trying to keep bold in living for Christ? If my ministry had a scripture it would be 2 Peter 1:3-11. He has given us everything we need to lead a Godly LIFE. Keep focused, amongst other things, on love, faith, self control and perseverance, and unlike many artists, friends, preachers, celebrities, and family members you have known or seen in the news, YOU WILL NOT STUMBLE. It's great to know that He will be there when we fall, but it's even better to know that we don't have to fall at all. Before I go.. I always ask artists I interview - whats jamming in your ipod/cd players right now?! Leon Timbo, Last Thursday Live Unplugged...sweeeet!